Also referred to as Iranian carpets, Persian rugs are a unique piece of art that represents the personality of the owner. It enhances the aesthetic appeal of the interior décor and increases the value of your property. The eye-catching designs and colors make it the top choice of customers. Moreover, the hand-woven style gives it a great look that can’t be matched with machine-made carpets. If you have a keen eye for art and have invested in these expensive rugs, you should take good care of them and get them washed with a reliable company only, such as Wool Rug Cleaning. 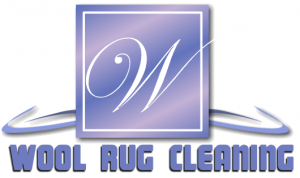 We have been in rug cleaning business for years and offer quality service to meet the needs of our valuable clients. Careless handling of this hand-woven piece of textile negatively affects its colors and fabric. We understand your concerns and opt for a cleaning process that gives your rugs a fresh look without ruining their quality. We can help you preserve your investment in a hassle-free manner. We admire the efforts of experienced professionals who weave Persian rugs and are aware that washing them with machines isn’t a good idea. We have professionals who pay attention to your valuable rugs and wash them with the help of effective and safe cleaning solutions. Today, some homeowners and office owners prefer to get casual area rugs. But if you’re a true art fan, you must have adorned the interior space with Persian rugs. We have some secrets that were passed from our ancestors to today’s professional team. Rest assured, you will enjoy a great experience with our team and get clean Persian rugs before you know it. Now that you know how easy it is to acquire the best professional rug cleaning service in town, feel free to contact Wool Rug Cleaning at 1866-976-8747. We are at your service!